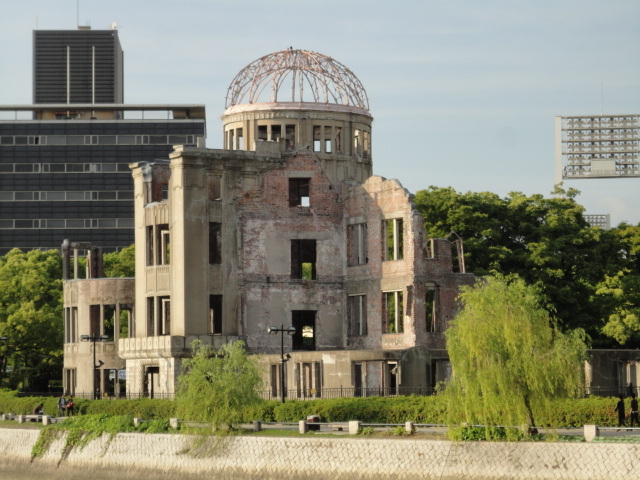 I also heard stories but I did not realize how awful this day truly was for Hiroshima. I agree with the peace museum message to fight for world peace and end nuclear weapons. It was painful to see what happened to innocent people especially the children. It was an eye opener to actually be able to see items that were left behind such as skin, fingernails, and clothing. I just pray that there can be end to nuclear bombings so the future will be better for everyone. This event was so sad for me, that I even couldn’t write about it. Burnt skins, and caught body pieces, and the surviver’s tears all will never be forgotten ! It was a globally learned lesson, that no one should be willing to try again. Japanese stood up again after that, which amazes me. The nation is really hard working, and build up everything again, from basics. And now, here we are, all of us drown in there technology success !